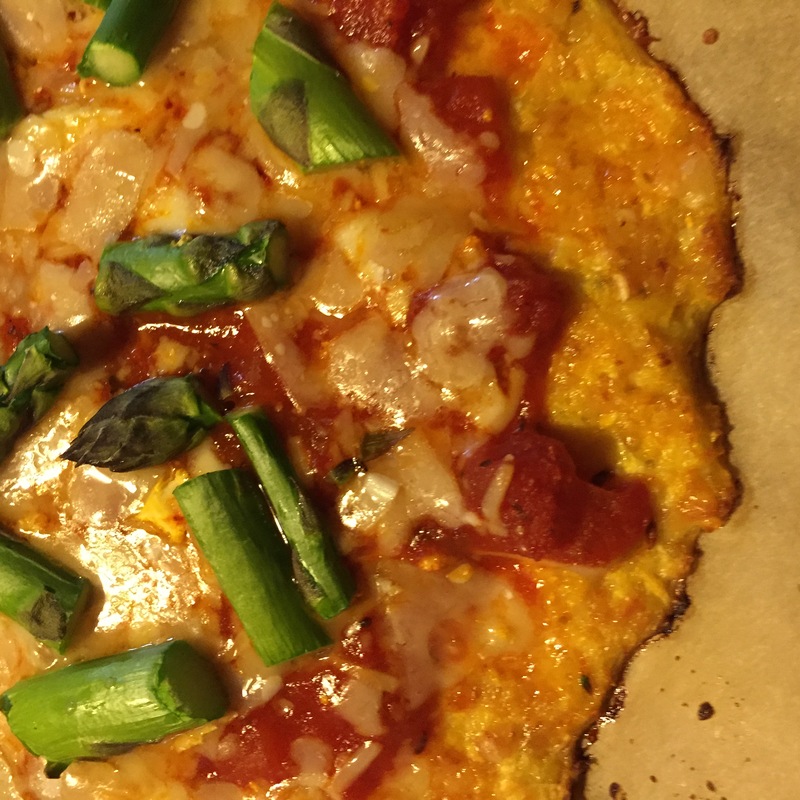 For awhile, I have wanted to make a gluten-free cauliflower pizza crust. It seems to be one of the new trends in eating healthy. It also seems like a good way to get my kids to eat more cauliflower! I came across a recipe posted by Dr. Mercola and my daughter begged me to make it yesterday. Of course, I adapted the recipe. Who follows a recipe to the T? Combine cooked cauliflower, cheese, eggs, and pepper to taste. Divide the mixture in half. Pat into two 10-12 inch rounds on the parchment paper. Top with you favorite pizza toppings and bake another 10 minutes. I really liked how our cauliflower pizza crusts turned out. I ate a half a pizza myself! The cheddar cauliflower gave the pizzas a nice color. 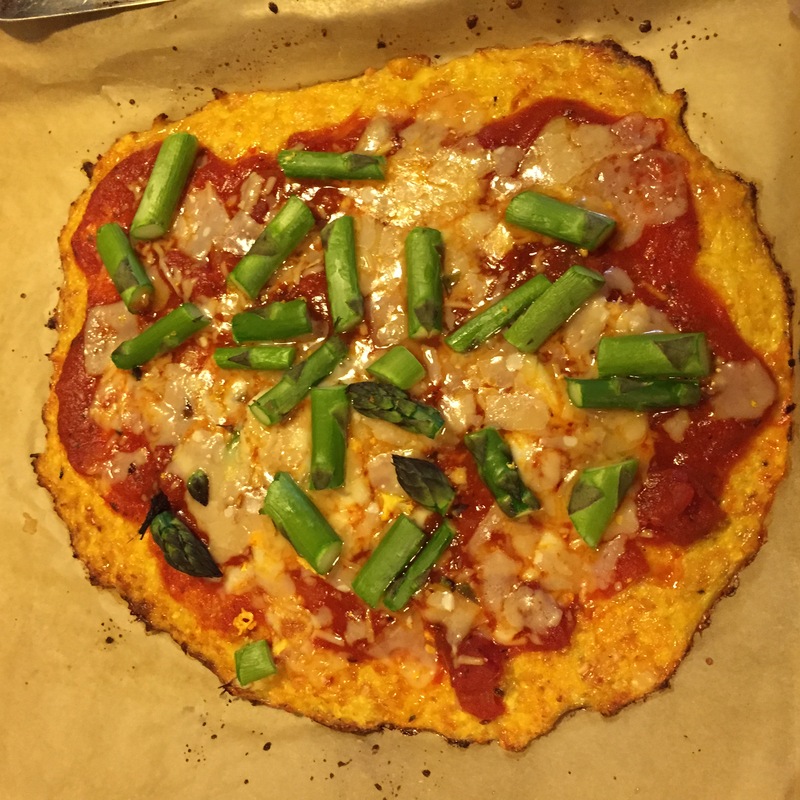 This is definitely pizza you have to eat with a fork (it holds together when cold), but it give a whole new twist on pizza and cauliflower! My daughter was less than enthusiastic, but she ate two pieces, as did her dad. My picky eater son wouldn’t even try it.